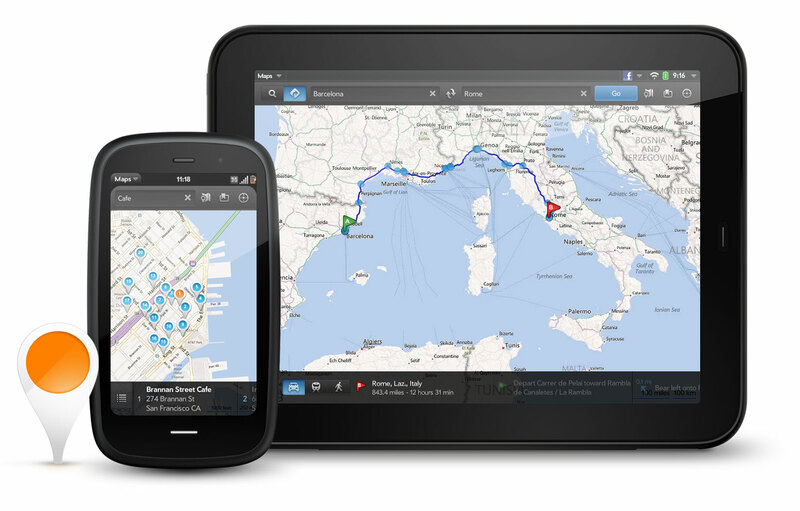 The Maps app for webOS makes it easy to find locations, get directions and explore the world near and far. 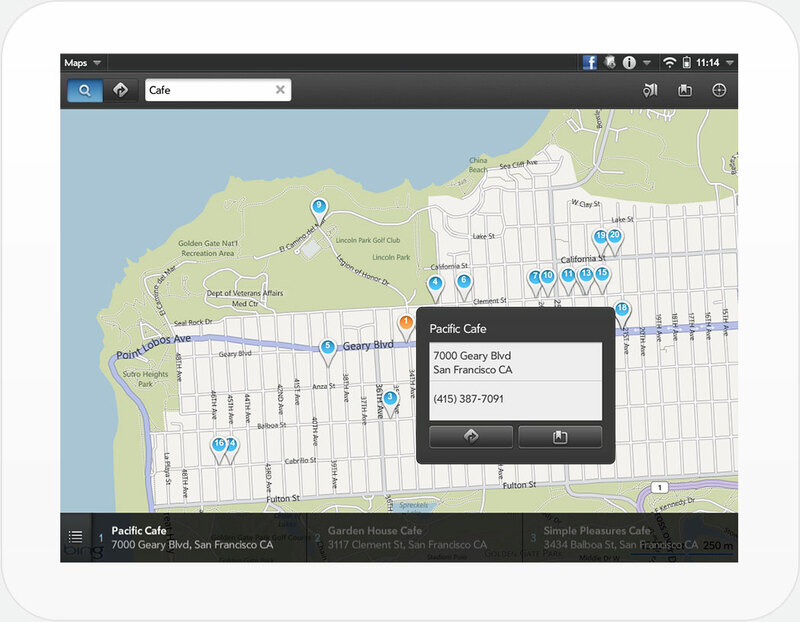 See the world in stunning Bird's Eye view with detailed photos, thanks to Bing Maps. 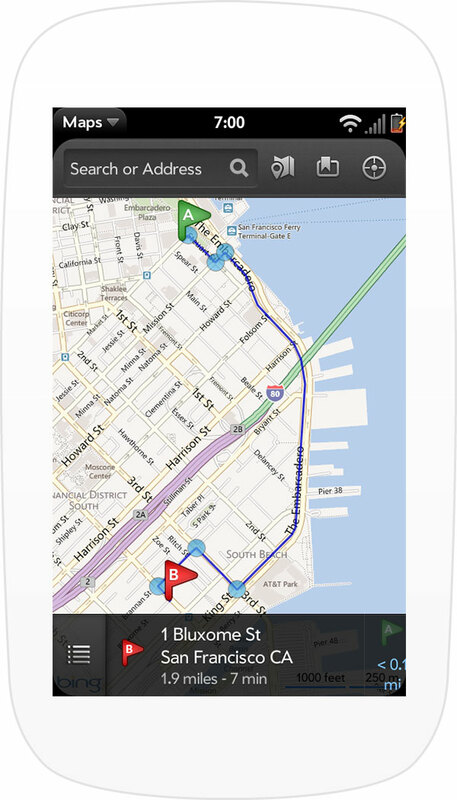 We designed both tablet and phone apps to take advantage of the platform and new features. 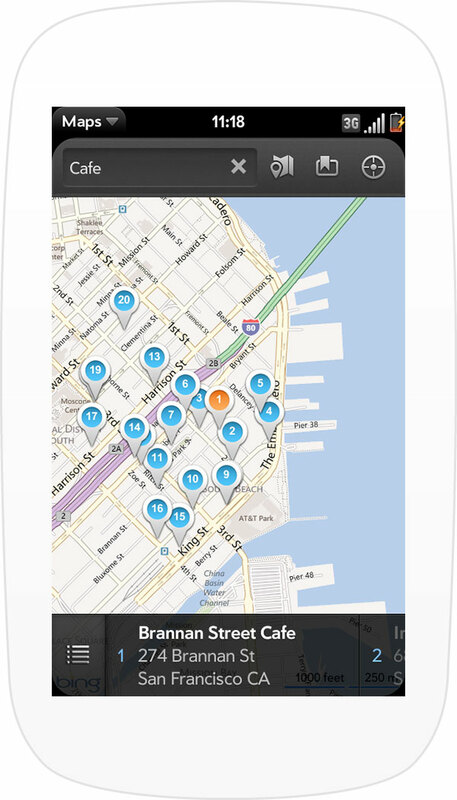 Swipe gestures simplify navigation directions and place results. 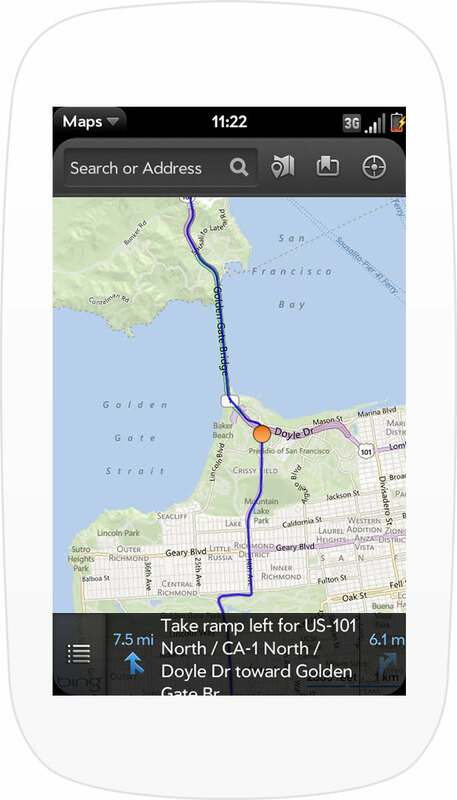 This app saves lives as users keep their eyes on the road, not trying to tap little buttons.